Charles Mowbray (1856 - 1910) can lay claim to fame to be one of Forest Gate's most controversial political figures. He was an anarchist, who mixed with the Who's Who of the British political left in the last two decades of the nineteenth century and married the daughter of a Paris communard. He was imprisoned for inciting riots and spent some time politically agitating in America, from where he was deported. He ended up in Forest Gate, with his third wife and children, working on Tariff Reform for the Tory party. This is his story. Charles Wilfred Mowbray was born at Bishop Auckland, Co. Durham in late 1856 and as a young man served in the Durham Light Infantry. He worked most of his life as a tailor. He married Mary, with whom he had five children (Charles, John, Richard, Grace and Frederick) in 1878. Mary Mowbray turns out to be a minor political celebrity, being the daughter of the French Communist Joseph Benoit, who'd been active in both the 1848 revolution and the 1871 Paris Commune. She ended up with a huge funeral, locally at Manor Park cemetery - see later. Once a sinewy, athletic black-haired determined man with the blazing eyes of a fanatic and a tempestuous eloquence that stirred many an open-air meeting. He became a socialist nearly thirty years ago, and joined the Socialist League. He read widely and moved to London, living in the notorious Boundary Street (the Old Nicol) slum in Whitechapel, in the 1880's. It is there his revolutionary politics began to flourish, as he came into contact with socialists, anarchists and communists living in the area, greatly politicised by many of the Jewish immigrants who had fled the pogroms in Russia and were determined to organise politically - from afar. As his obituary mentions, he joined the Socialist League at its foundation in 1884 - the organisation most closely associated with Walthamstow-born William Morris - and he described himself as an "anarchist/communist". He became a prominent street corner speaker/political agitator, calling for rent strikes and fairer treatment of workers. He was popular with fellow tailors in the area, and has been called: "One of the greatest working class orators who ever spoke in public". When the police began to harass open-air meetings in 1885, he was one of those involved in a major agitation in Dod Street and Burdett Road in Limehouse in September of that year. On 20 September, following this meeting, he was beaten by the police there and arrested for obstruction along with other speakers. 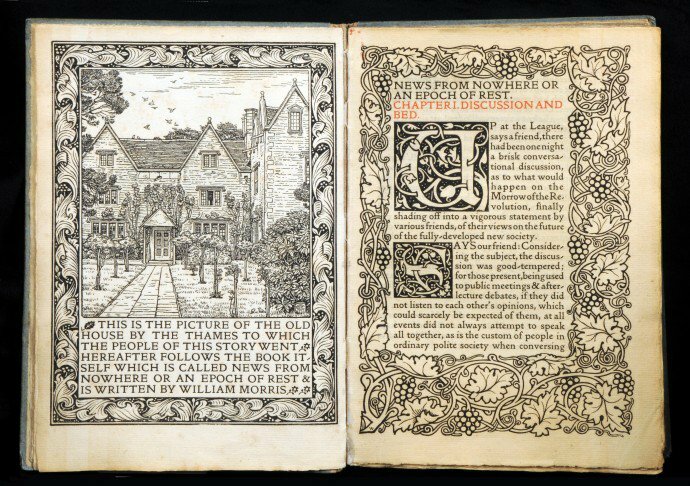 William Morris felt that Mowbray "had done the most" but he was set free. The publicity and outrage created by the arrests meant that 50,000 people turned out in support at Dod Street the following Sunday. He was again arrested at a free speech rally in Trafalgar Square on 14 June 1886 and was fined £1 with costs. MURDER! Workmen, why allow yourselves, your wives and children to be daily murdered by the foulness of the dens in which you are forced to live? It is time the slow murder of the poor, who are poisoned by thousands in the foul unhealthy slums, from which robber landlords extract monstrous rents, was stopped. You have paid rent the value over and over again of the rotten dens in which you are forced to dwell. Government has failed to help you.The time has come to help yourselves. PAY NO RENT. to land-thieves and house-farmers who flourish on your misery, starvation and degradation. In 1886 he moved, briefly, to East Anglia, as Britain's first self-styled "anarchist-communist"
He organised a number of unemployed meetings in Norwich in 1886 and became secretary of the local Socialist League branch. He was arrested again on 14 January 1887 after the "Battle of Ham Run", when a bank was damaged and shops looted. For his part in this, he received nine months on the treadmill in Norwich Castle prison, for "riot with force, injuring buildings and assault". Before the sentence he had been a passionate opponent of capitalism, but now he was consumed with hatred against it. He emerged from jail "gaunt, emaciated and embittered", talking wildly of dynamite and urging "Gatlings, hand grenades, strychnine and lead ... everywhere there are signs of bloody conflict which is about to take place between workers and their masters." 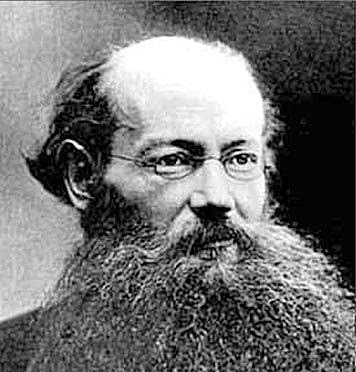 He took part in annual Paris Commune and Chicago Martyrs meetings, speaking with famous anarchists such as Peter Kropotkin, and Louise Michel. In 1889 he was elected onto a tailors' strike committee of 17 in London. The three-week strike brought out both West End and East End tailors and was successful. Mowbray developed warm relations with Jewish workers in the East End, and often spoke at the anarchist Club in Berner Street, off of the Commercial Road. Mowbray shared a platform with. Mowbray was now talking about dynamite and individual propaganda by deed. I feel confident that a few determined men…who are prepared to do or die in the attempt could paralyse the forces of our masters providing they were acquainted with the power which nineteenth century science has placed within their reach. 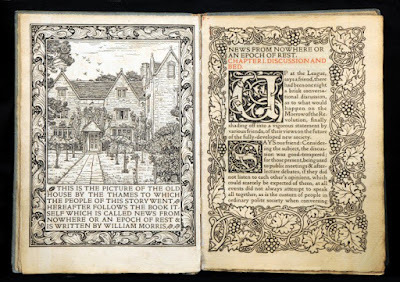 This sort of talk had been the final straw for Morris, who subsequently left the Socialist League, most associated with him and abandoned the Commonweal, which he had, to date largely funded and which most famously had first published his News from Nowhere, in serial form. Mowbray began to take a more active editorial role in the paper, which increasingly came to display anarchist leanings. In 1891 Mowbray was involved in intensive anti-militarist propaganda. His son, also Charles, had been imprisoned and discharged from the army for carrying out anti-militarist propaganda. Mowbray visited the barracks at Rochester, Colchester and Chatham, distributing thousands of leaflets and copies of Commonweal containing an Address to the Army. They reminded soldiers of their working class origins and urged them to refuse to fire on the people if ordered to do so. A No-Rent agitation was also carried on in the Boundary Street slum where Mowbray lived. He spoke alongside Louise Michel at the August tea party to keep the Jewish anarchist paper Arbeiter Fraint (Workers' Friend) going in 1892. Later, after the Walsall Anarchist trial in 1892, the Commonweal editorialised Are These Men Fit To Live? referring to the Home Secretary and the policemen and judge who had been involved in arresting and sentencing the martyrs. Mowbray was not present at the editorial meeting where the article was written (he was nursing his dying wife) and would have vetoed its inclusion. Nonetheless, he was arrested and charged with incitement to murder. When the police came to arrest him, his wife Mary was dead of consumption, or TB, a few hours before, in a room upstairs. He was taken away and children left alone in the house with their dead mother. 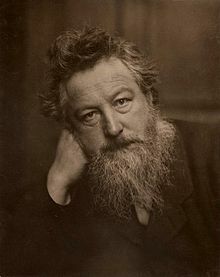 Mowbray was remanded in custody, and the judge reluctantly let him attend his wife's funeral he was put on bail, with surety of £500, provided by William Morris. 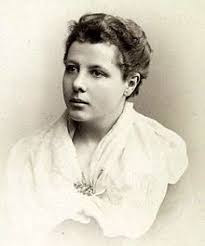 Annie Besant, the woman most associated with organising and publicising the plight of the Bryant and May Matchgirls/women of Bow in 1888 is said to have offered to take care of Mowbray's children after he was widowed. She may have done briefly, but In the event, he soon remarried (see below) and he and his second wife continued to bring them up. Anarchists at the Berners Street Club took charge of the funeral and it became a show of defiance, with thousands marching in the cortege and 20 anarchist banners flying. It was a huge demonstration, complete with a brass band and anarchist songs sung in Yiddish, in the company of a single policeman. Important figure in the Paris Commune. She often used the pseudonym Clémence and was also known as the red virgin of Montmartre. Journalist, Brian Doherty has called her the "French grande dame of anarchy." Yale historian John Merriman said: "She embraced the cause of women's rights, proclaiming that one could not separate 'the caste of women from humanity". The burial (with no religious ceremony) took place in Manor Park cemetery. The grave, sadly, has been subsequently built over. No such sight has been in East London as that which was witnessed last Saturday afternoon. Long before the time named for the procession to start large crowds of people lined Commercial Road and literally packed Berners Street from end to end. Mowbray was finally acquitted at the Central Criminal Court on 2 May of "encouraging people to murder". In summer 1893 he and other anarchists were excluded from the Zurich Congress of the socialist Second International. They then held their own congress of protest. acquittal of "encouraging people to murder"
As a result, anarchists turned to agitation in the workplace. Mowbray wrote an article Trades Unionism and the Unemployed where he called for unity of employed and unemployed, an overtime ban, an eight hour day, the abolition of piecework, and a rejection of political lobbying. 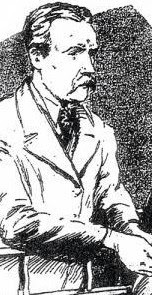 In 1894 he, with others, attended scores of meetings in the East End, attended, according to the anarchist Freedom newspaper: "both Trade Union and unemployed, at which they have done a remarkable amount of good". The Socialist League had finally disappeared in 1894. At around this time, Mowbray married for a second time, to Charlotte Smith, of Shadwell. Mowbray then went on a speaking tour of the United States, and addressed many meetings on the East Coast, denouncing reformist trade unionism and calling for revolutionary action. The tour was highly successful, pulling in large crowds. But he was arrested in Philadelphia, charged with incitement to riot and sedition against the Commonwealth of Pennsylvania. Mowbray moved to Boston, where he started work as a tailor and he brought his family over in April 1895. He and Charlotte soon had a daughter, Mabel, in New York. He went on another speaking tour in summer 1895, speaking in St. Louis and Chicago, where police attacked the meetings. He continued his intensive activity on the East Coast and was involved with the establishment of an anarchist-communist group in Boston. Mowbray became secretary of the Union Cooperative Society of Journeymen Tailors and orientated it in an anarchist direction. 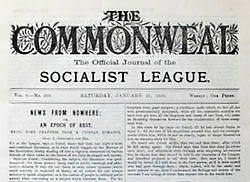 In 1895 Mowbray and Harry Kelly set up the paper The Rebel – a Monthly Journal devoted to the exposition of anarchist communism. He continued his speaking tours, and brought out another anarchist paper with Kelly called The Match, only two issues of which appeared. A few months later he moved back to New York and then Hoboken (very much later, home to both Frank Sinatra and Bruce Springsteen! ), on the opposite bank of the Hudson River, in New Jersey. Here he opened a saloon and developed a taste for heavy drinking. He returned from the USA, arriving in Liverpool on 25 February 1900, on the Etruria, allegedly expelled because of his anarchist agitation in the country. By the time of the census, a year later, he was living, with his wife Charlotte and their children, inexplicably at 31 Eve Road Plaistow. In 1904 Mowbray was involved in the general strike activity propagated by Arbeter Fraint. He chaired a mass meeting at The Wonderland, Whitechapel where all 5,000 seats were taken and many had to be turned away. The Jewish Bakers Union came out for improved hours and working conditions. Mowbray reappeared on the very local political scene in 1905, as the unemployment crisis in West Ham reached its height. Poverty in West Ham grew rapidly with the expanding population at the turn of the twentieth century, for a number of reasons. Not only the docks, but also many of the increasing number of factories, particularly in and around Stratford, employed large number of casual workers, and any downturn in the economy had an immediate impact. The expansion of housing in West Ham also involved large numbers of casual workers, and as house-building began to tail off in the 1900s, many of these lost work. The numbers receiving “indoor relief” (that is, in the workhouse) rose from just over 1,800 to over 3,500 in the decade between 1895 and 1905, while in the same period outdoor relief went up from 7,600 to over 16,000. After 1905 the numbers tailed off, partly because of a slight economic recovery, and partly because rules were tightened over who could receive poor relief. Mowbray became chairman of the West Ham Unemployed Committee, with G.W. Shreeve as secretary. Throughout that summer Mowbray campaigned on behalf of the unemployed in the borough. In August he presented a petition to the chairman of the local magistrates, asking for sympathy in dealing with potential evictions of those who fell behind with their rent. The magistrate expressed sympathy, but declared that he ‘had no power to interfere with the ordinary course of the law’. Mowbray’s own approach was ambivalent; to the police he declared that the unemployed would confine themselves to peaceful protest, but at a meeting of the unemployed at Stratford Town Hall his tone was rather different. ‘They had been told that if they used violence they would lose sympathy’ he declared. ‘They had been quiet – where was the sympathy?’ A voice called out, ‘there is none’, to which Mowbray replied, ‘they were nearly tired of begging for something’. (Essex Newsman 26 August 1905). A heavy police presence at this and other meetings and demonstrations indicated that the nervousness of the authorities. Awareness of the revolutionary outbreak in Russia was strong, and one news report of a demonstration outside Stratford town hall in October 1905 described how ‘the brilliantly lit Broadway presented a strange spectacle, suggestive almost of an unquiet Russian town’. (Essex Newsman 8 April 1905). Again there was a heavy police presence, but, despite the failure of Mowbray to persuade the Council to accept a petition for the initiation of public works, there was no trouble. Mowbray was also active in local politics, and stood for election on at least two occasions. In April 1905 he and Shreeve stood for election to the Board of Guardians, who oversaw the operations of the local workhouse. Neither was elected for the Tidal Basin and Custom House ward, the poorest area among the parishes of the West Ham Poor Law Union. 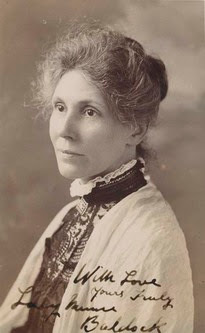 One of those elected for the ward (representing the Independent Labour Party) was Minnie Baldock, the women’s suffrage activist who lived in Canning Town (see here for details of Minnie, who became organiser for Forest Gate suffragettes). Already active amongst out-of–work women, in January 1906 Minnie Baldock was to become the first chairwoman of the newly-formed Unemployed Women of South West Ham, convened to put pressure on the local Distress Committee regarding the plight of local women without work. This division in the ranks of those representing the unemployed in the borough may indicate differing political goals, especially as the unemployed women were being urged at the time to join the campaign for the vote. 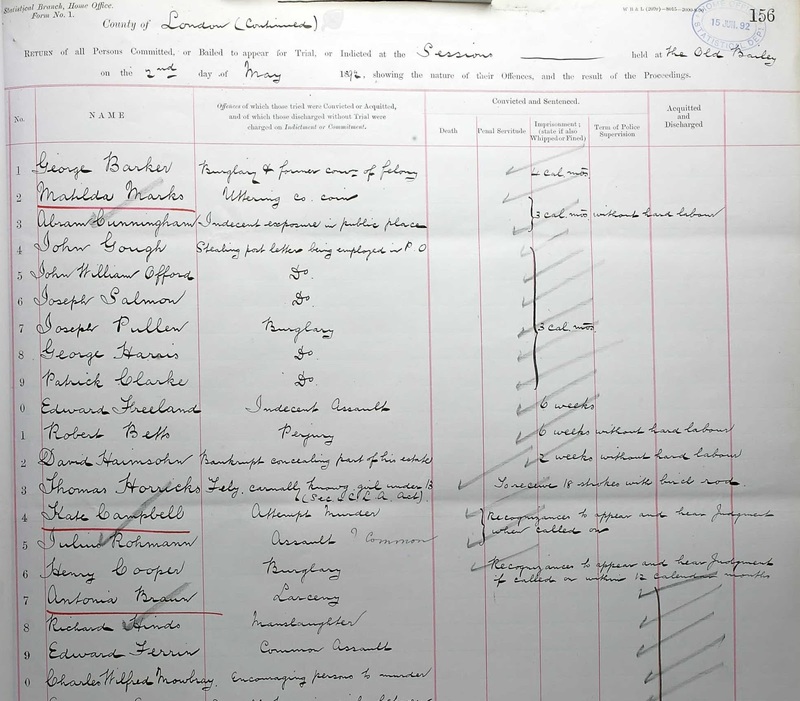 Unemployment was not a problem limited to east London, and in 1905 the Liberal government renewed the Unemployed Workmen Act, first passed by the Conservatives in 1903. The Act enabled Councils to establish Distress Committees to give grants to businesses or local authorities to enable them to hire more workers. At a lively West Ham Council meeting in September 1905 it was agreed to establish a Distress Committee, though Labour members protested that the Act was simply a means of shelving government responsibility. Mowbray attended and spoke of the need for government action rather than continued charity handouts, and a motion was put forward for immediate cash for public works. However, not all agreed that the unemployment problem in the borough was severe; a letter from the Forest Gate Ratepayers’ Association declared that there was an epidemic of spongers in West Ham, to which a Labour councillor responded by calling the Association’s members ‘a set of lying reptiles’. (Chelmsford Chronicle 22 September 1909) His refusal to withdraw the remark led to the meeting’s adjournment in confusion. Mowbray continued to keep up the pressure on the Council and the workhouse Guardians with meetings and marches. In October 1905 he led a march of 1,000 to the West Ham Union workhouse (which was actually in Leytonstone, just north of Cann Hall Road). On arrival Mowbray pointed out that the Unemployed Workmen’s Act excluded from assistance any man who had received Poor Relief in the previous 12 months. 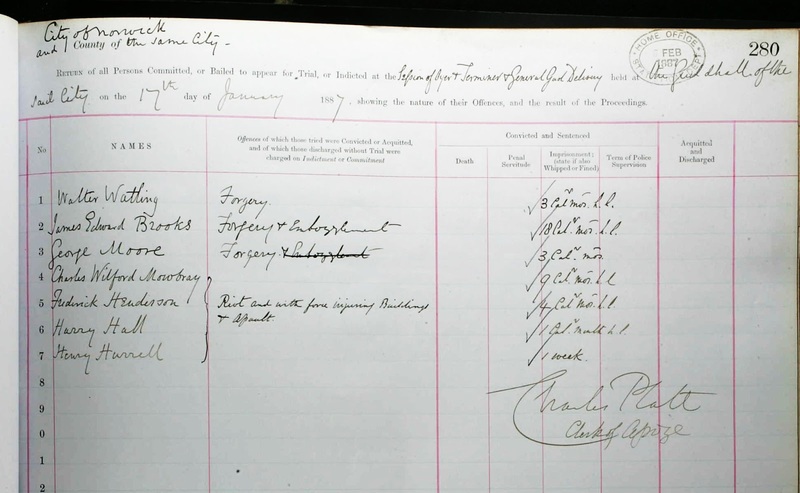 There were over 2,500 such cases in West Ham, and Mowbray asked for support for them from the parish, either in the workhouse or ‘outdoor relief’. Confusion then arose when some of the men who had admittance orders for the workhouse went in, expecting the others to demand admittance also. When nobody followed them it seemed that there would be trouble between the protestors, but Mowbray managed to persuade all of the marchers to leave peacefully. Mowbray was right to draw attention to the shortcomings of the Act, which local officials also admitted meant that many in need were not being helped. Discontent continued to grow in West Ham, and the following summer Mowbray was involved in a short-lived attempt by local unemployed to occupy and cultivate a piece of waste ground in Plaistow, an occupation which ended as quickly as it began. His wife, Charlotte died in 1906, aged just 37. Mowbray very soon afterwards married, for a third time -to Eliza, who already had a Forest Gate-born daughter. The family then moved to Forest Gate - the reasons aren't clear, but it may have been to be closer to Eliza's family. The address given for them is 15 Chestnut Grove. The street no longer exists under that name, but survives, renamed as Curwen Avenue, just off Woodgrange Road. Its name was changed, presumably to distinguish it from the much larger Chestnut Avenue, at the behest of either the Post Office or Fire Brigade. The new name is, of course, associated with the Forest Gate music teacher and innovator John Curwen (see here, for details). In November 1906 Mowbray tried again to get elected, this time for the Council. He stood in Broadway ward, Stratford, but was again defeated. His lack of party affiliation may have worked against him, in a borough already dominated by two political coalitions, the Municipal Alliance, made up of ratepayers’ representatives, and the Labour party and their allies. These failures to make any headway on behalf of the poor and unemployed in east London may have contributed to a shift in Mowbray’s political perspective from 1907. By the end of that year, Mowbray was travelling the country campaigning on behalf of a shadowy organisation called the ‘National Freedom Defence League’ against the government’s Licensing Bill. The League claimed widespread trade union support, but socialist newspapers declared it a front for brewery companies. A photo of Mowbray in his latter days (?). Still active, still inflammatory, but seemingly to have abandoned anarchism altogether. Affected by the jingoism of these years, Mowbray embraced "Fair Trade", or "Tariff Reform" as a way of protecting the Englishman's income and employment prospects. Tariff Reform was called Protectionism by its opponents and sought to limit .... Britain from the increasingly successful producers around the world." Mowbray had come a long way from 'Workers of the World Unite'; the internationalism and fraternalism of his earlier political life had given way to fear of the foreigner and romanticism of the English labouring man. The speaking tours he undertook in his final years were funded by the Conservative Party enthusiasts of Tariff Reform. He died in a hotel bedroom in Bridlington on Friday 9 December 1910, the night before he was due to urge locals to vote for the anti-socialist, anti-Irish Home Rule candidate at that week's general election. The sitting MP, Sir Luke White of the Liberal Party was also the local coroner and oversaw Mowbray's autopsy. The strange journey of Charles Mowbray was one not unfamiliar for a number of radicals of the left over the years. Indeed, in reporting his death the Shoreditch Observer noted that a number of Socialists had joined the Tariff Reform movement; perhaps Mowbray believed that by ‘denouncing the causes he once advocated’, he could better protect the jobs of British workers. Whatever the reason, it was an ignominious end for one of east London’s great firebrand leaders of the late nineteenth century. He was buried in West Ham cemetery. His grave, like his first wife, Mary's, has been subsequently been built over. Footnote. This lengthy post was inspired by a casual question posed to the Twitter account of this blog. It set local historian, Mark Gorman, and this site's editor on an exciting journey to answer the simple question: Who was Charles Mowbray, and what of his local connection? We have written before about the Doodlebug bombing of Dames Road in July 1944, here and here. 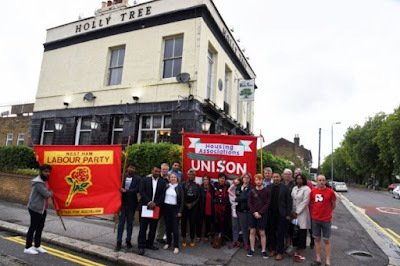 The local Labour Party held an event outside the Holly Tree on 27 July this year, to commemorate the 73rd anniversary of the bombing and to remember the dead (see photo, below). Our earlier reports expressed a frustration in getting accurate numbers of those killed and injured by the bomb. We are now able to bring fuller details of the carnage, including the names and addresses of 34 killed at the time and to usefully speculate on what could have happened on the day. We are grateful to local resident, Shirley Hartley and the Waltham Forest archives at Vestry House and, in particular, the assistance of archivist Jo Parker, for much of what follows. Our previous coverage relied on the report from the Stratford Express from the week following the hit (below) - which only identified four dead - and the West Ham borough post war list of the WW11 civilian dead - which only identified a different four. We knew, however, that these were serious underestimations of the carnage the bomb brought. 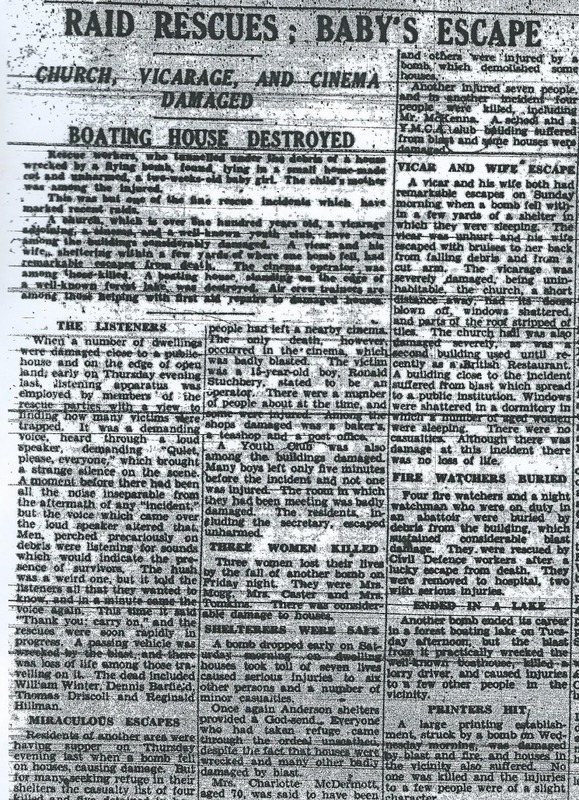 When a number of dwellings were damaged close to a public house (ed note: Holly Tree) and the edge of open land (ed note: Wanstead Flats); early on Thursday evening last, listening apparatus was employed by members of the rescue parties with a view to finding how many victims were trapped. It was a demanding voice, heard through a loud speaker demanding: "Quiet, please, everyone" which brought a strange silence on the scene. A moment before there had been all the noise inseparable from the aftermath of any "incident"; but the voice that came out the loud speaker altered that. Men perched precariously on debris were listening for sounds which would indicate the presence of survivors. The hush was a weird one, but it told the listeners all that they wanted to know, and in a minute came the voice again. This time it said "Thank you, carry on" and the resources were soon rapidly in progress. A passing vehicle (ed: the trolley bus) was wrecked by the blast and there was loss of life amongst those travelling on it. The dead included William Winter, Dennis Barfield, Thomas Driscoll and Reginald Hillman. This account is dramatic, suggesting that far more than four were killed. Road. See footnote for details. A particularly nasty, gory, situation confronted us, following a V1 explosion in Dames Road, Forest Gate. A trolley bus, crammed with home going workers had caught the full blast and the whole area was a sickening sight. Dismembered bodies littered the roadway; others were splattered over the brickwork of the houses across the way and the wreckage of the trolley bus was simply too ghastly to describe. The roof and upper deck, together with the passengers, were blasted away. Standing passengers on the lower deck were also flung against the fronts of houses on the other side of the road. The lower deck seated passengers were all dead. Although many of the victims had been decapitated, they were still sitting down, as if waiting to have their fares collected. 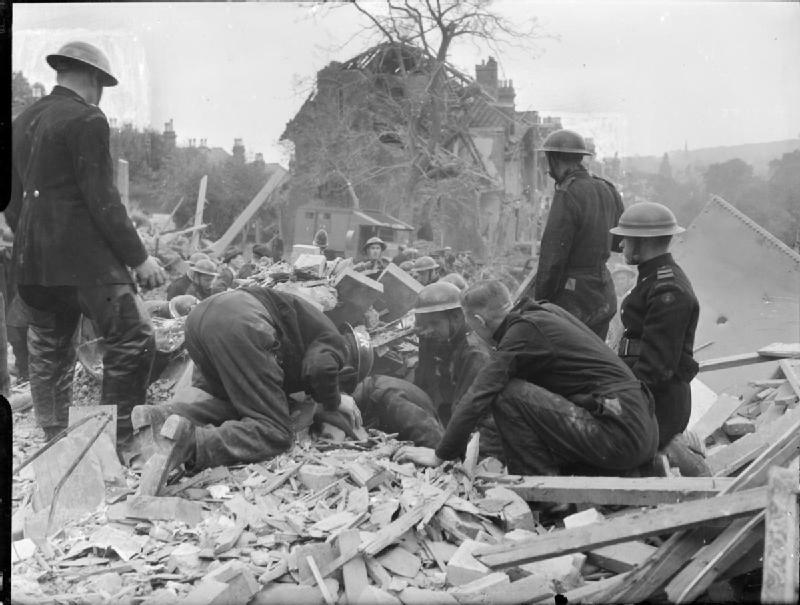 Demarne described the Dames Road bomb as "the most horrific thing I ever witnessed." 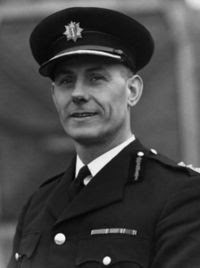 Given the position he rose to in the Fire Service, and the number of incidents he must have witnessed in a long and distinguished career, that is some testimony to the horror of the event. to become West Ham's fire chief after the war. So, eight civilian deaths was clearly a serious underestimation of the scale of the horror. At least eight persons were killed and 10 injured when a bomb fell in a residential area. Italian prisoners helped fire-fighters in the rescue work. Given the proximity of Dames Road to the Italian Prisoner of War camp on Wanstead Flats (see here), this oblique reference almost certainly describes the incident. There was no reference to the precise location in the account, as there rarely was in contemporary press reports, as censorship was in force and details that could have been deemed to be useful to the enemy were omitted from press reports. 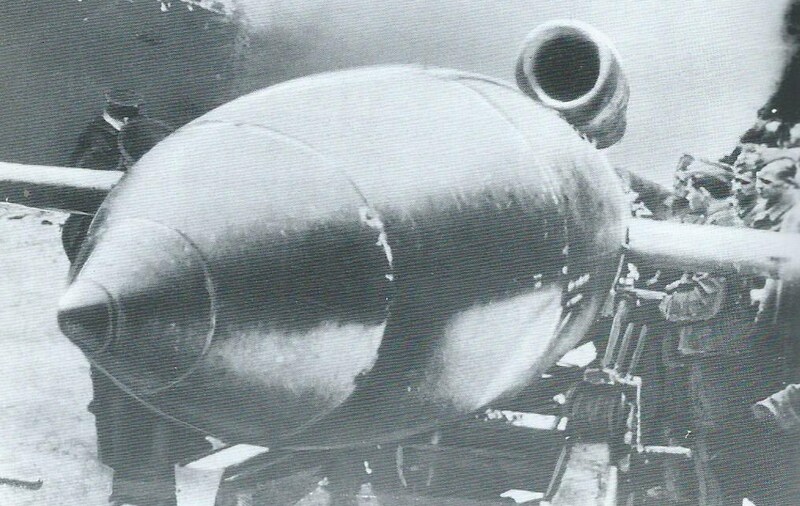 The explanation is that the bomb actually landed in what was then Leyton, just the other side of the borough boundary on Dames Road. 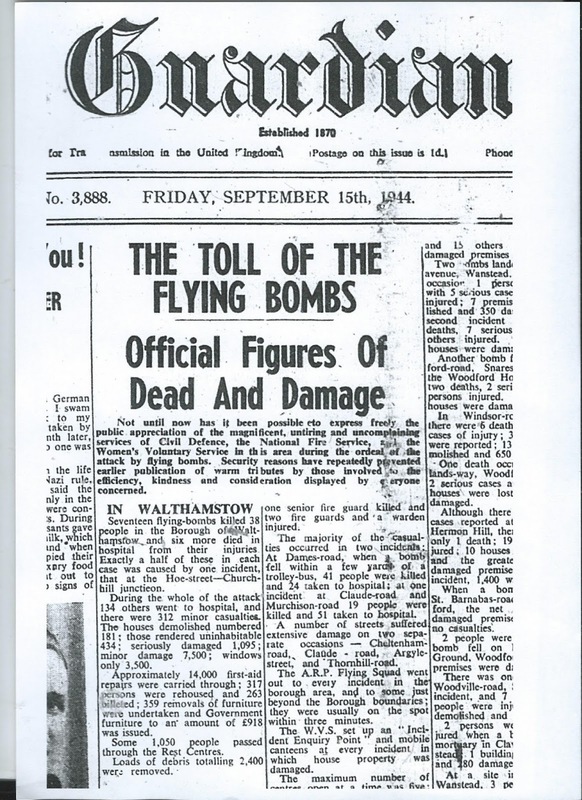 Local resident, Shirley Hartley pointed us in the direction of a Leytonstone paper of the time that offered a more accurate assessment of the carnage inflicted. This account, however, in the Leytonstone Independent was dated 15 September 1944 - 7 weeks after the event (see below). 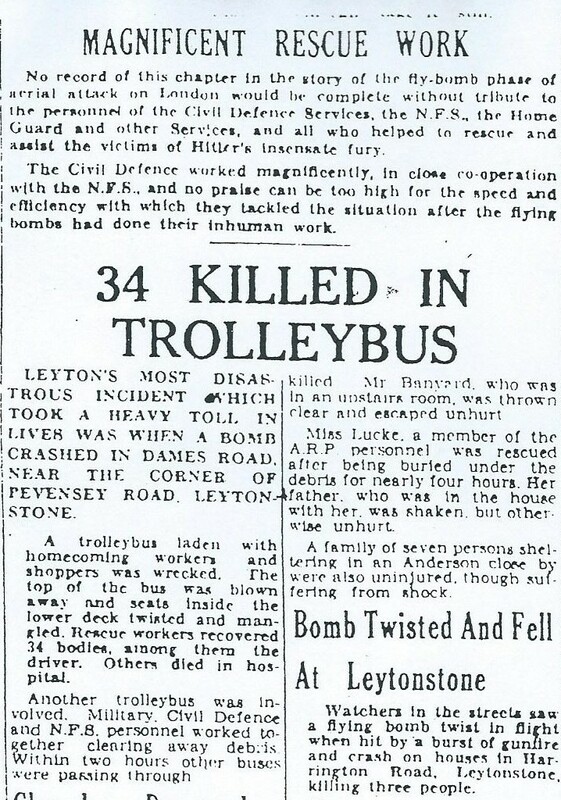 Leyton's most disastrous incident which took a heavy toll in lives was when a bomb crashed in Dames Road near the corner of Pevensey Road, Leytonstone. A trolleybus laden with home coming workers and shoppers was wrecked. The top of the bus was blown away and seats inside the lower deck twisted and mangled. Rescue workers recovered 34 bodies, among them the driver. Others died in hospital. Another trolleybus was involved. Military Civil Defence and NFS (ed: National Fire Service) personnel worked together clearing away debris. Within two hours, other buses were passing through. Details of major war incidents were collated centrally, by the government information service, and released to the press some while afterward the events, again as part of the censorship and enemy frustration process. 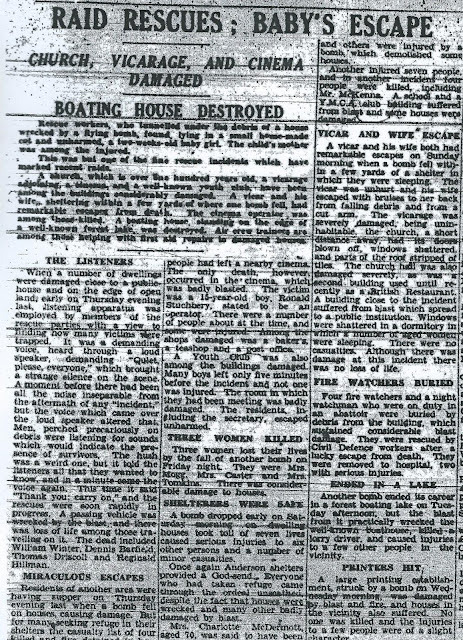 This report was the first mention in the Leytonstone press of the incident - 7 weeks after its occurrence. The Walthamstow Guardian of the same week, presumably using the same Government Information Service briefing, also covered the incident - see cutting below, but provided different numbers. 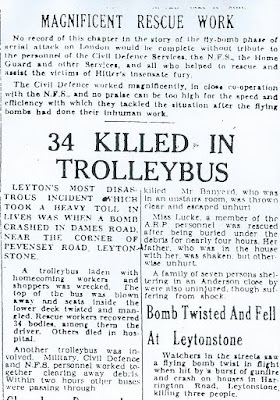 At Dames Road, when a bomb fell within a few yards of a trolleybus, 41 people were killed and 24 taken to hospital. And, that was it - for probably the area's worst bombing incident of World War 11 - 24 words! But, still no agreed numbers of killed or injured, and certainly 34 or more. The Commonwealth War Graves Commission (CWGC) was given the job, by the government, of drawing up details of the country's civilian war dead, and publishing it, borough by borough, at the end of the war. We used the West Ham list in our previous account of the bomb, and could only identify four people (Gladys Blackman (aged 39), Wendy Blackman (aged 4), Abraham Ince (aged 76) and Edith Tilley (aged 41) killed in Dames Road on the day of the bomb. 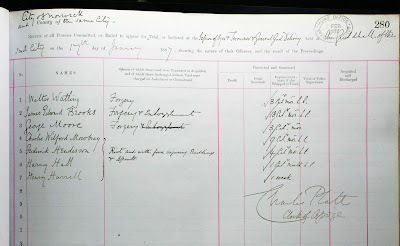 Four, different, people, were identified by the Stratford Express on 4 August (Denis Barfield, Thomas Driscoll, Reginald Harold Hillman and William James Winter). Neither the Leytonstone nor the Walthamstow papers' news reports named anybody. 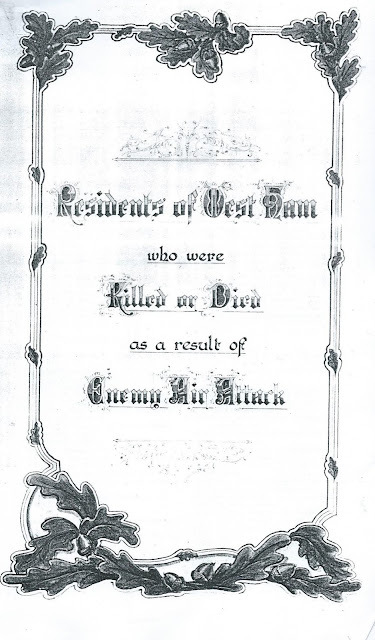 The Leyton Civilian War dead register, however, identified 28 deaths caused by the bomb. We provide an aggregated list of the 34 names we have been able to discover from these three sources, below. This, incidentally, is the number of dead identified by the Leytonstone Independent (see above). According to local people, the bomb fell pretty close to the bus stop, on Dames Road, just the northern side of the Pevensey Road junction, and as can be shown in the photo, just inside what is, today, Waltham Forest. It fell approximately where 127, Dames Road - now called Dames Road House - is located. Clearly all the houses surrounding this spot are post war, and built on the bomb site. New houses were built very soon after the war, and at least one local resident moved into her house in 1949, and has been there since! 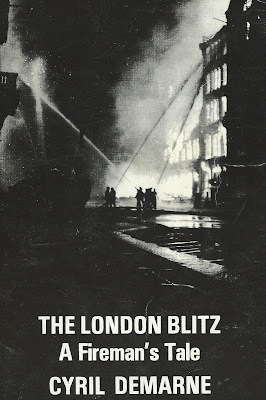 As the accounts tell, the bomb fell in the early evening, as people were returning from work and the buses were busy. Within minutes the war-time rescue services were at the site and at least some of their members may have been killed, in the rescue of the bomb victims, either cutting them out from the trolleybus or digging people out of the demolished houses. Italian Prisoners of War from the near-by camp on Wanstead Flats were also soon on the scene bailing out victims of their own country's allies' bombings. Within two hours the majority of the dead were dug and moved out and upto 40 injured were transported to Whipps Cross hospital. The death toll was minimally 34, as reported by the Leytonstone Independent and verified by the details below. But may have risen to 41, as reported by the Walthamstow Guardian - or more. The injury list is almost impossible to calculated, 73 years on, but press reports suggest that it was at least a further 24. So -upwards of 65 victims in this one night of horror on Dames Road, in July 1944. The work of the rescue services was so efficient that Dames Road was cleared enough to allow a continuation of bus services along its length. A quite remarkable story and feat! Among the dead were four people whose houses probably took a direct hit, Dorothy and June Jarvis of 124 Dames Road and Reuben and Leah Newhouse of 117 Dames Road - see list below for full details. There were seven other people killed who had lived in the immediate vicinity - presumably either waiting at the bus stop, waiting to alight, or just going about their daily business: Florence White, 109 Pevensey Road, Sarah Wightman, 68 Huddlestone Road, Alan John Neale, 61 Huddlestone Road, William Alfred Barton 69, Huddlestone Road, Herbert Smith, 107 Vansittart Road, Mary Mclaughlin 173 Dames Road and Frederick Ernest Wright, 211 Dames Road. Four of those killed could well have been rescue workers, judging by the descriptions in the Civilian Dead lists (George Neal, an air raid warden, Reginald Hillman and air raid ambulance driver, Horace Presland from the Heavy Rescue Service and Bertie Sabine from the Home Guard). So, of the 34 identified dead, 11 were from the immediate vicinity of the where the bomb dropped, four could well have been rescue workers, one was the driver (we do not know his name) and the other 18 were probably passengers, returning from work. One family appears in both the Leyton and West Ham books - it is not clear why. The Blackman family lost three people - the most from any one family, as far as it is possible to see. Mother Gladys and daughter Wendy appear in the West Ham book, and daughter Jean in the Leyton book. Of the four dead mentioned by the Stratford Express, only two, Thomas Driscoll and Dennis Barfield appear in one of the lists of civilian dead. Margaret Ball, aged 24 of 48 Albert Road, Silvertown. Daughter of Eugene and Elizabeth Hilda Gray of the same address and wife of L'Cpl Arthur John Ball, Royal Armoured Corps. Dennis Barfield - no further details, but mentioned in Stratford Express Report - see above. John Alfred Barnicoat, aged 39. Son of Mrs Barnicoat, 14 Clacton Road, Walthamstow. 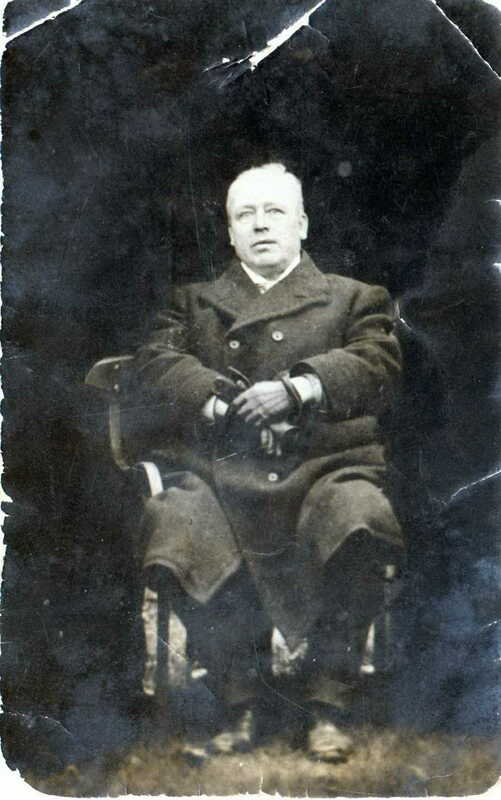 William Alfred Barton, aged 36, of 69 Huddlestone Road, Forest Gate. Son of Mr WA Barton of 132 Sebert Road, Forest Gate. William Albert Bell, aged 17. Son of Mr and Mrs WWF Bell of 183 Harrow Road, Leytonstone. Died in Whipps Cross Hospital of wounds suffered at Dames Road. Gladys Blackman, aged 39, of 323 Billet Rd, Walthamstow. wife of AC1 William Blackman, RAF. Gladys, unlike her daughter, Jean, appears in the West Ham list and not the Leyton one. Jean Edith Blackman, aged 10 of 323 Billet Rd, Walthamstow. Daughter of AC1 William Blackman, RAF, and of Gladys Blackman. Unlike her mother, Gladys, above, and her sister Wendy, below, Jean appeared in the Leyton list and not the West Ham one. The Leyton list mentions this. Wendy Blackman (aged 4), of 323 Billet Rd, Walthamstow. Daughter of AC1 William Blackman, RAF and of Gladys Blackman. Wendy, unlike her sister, Jean, appears in the West Ham list and not the Leyton one. Alan Bunt, aged 15. Son of Winifred M Bunt of 24 Kingsdown Road, Leytonstone and the late John Payne Bunt. Dennis Butfield, aged 17. Son of Mr and Mrs CJ Butfield of 31 Pretoria Avenue, Walthamstow. Ernest Edward Harry Chapman, aged 37. Son of Mr and Mrs Chapman of 76 Lynmouth Rd, husband of Laura Chapman of 91 Harrington Road, Walthamstow. Thomas Driscoll - no further details, but mentioned in Stratford Express Report - see above. William Albert Heard, aged 40, of 28 Tavistock Road, Forest Gate. Husband of May Lavinia Heard. Reginald Harold Hillman, aged 37, ARP, Ambulance Driver. Son of the late Mr and Mrs SA Hillman; husband of EL Hillman of 79 South Esk Road, Forest Gate. (also mentioned in Stratford Express report - see below). Abraham Ince, aged 76. Appears in West Ham but not on Leyton list. Harry James Jackson, aged 43. Son of William Jackson of 124 Westfield Road, Caversham, Reading; husband of Anne Jackson of 20 Well Street, Hackney. Evelyn Dorothy Jarvis, aged 14 of 124 Dames Road. Daughter of Mr and Mrs Robert H Jarvis, at 124 Dames Road. June Irene Jarvis, aged 17, of 124 Dames Road. Daughter of Mr and Mrs Robert H Jarvis, at 124 Dames Road. Mary Agnes Mclaughlin, aged 18, of 173 Dames Road. Daughter of Andrew and Agnes Mclaughlin. George Stanley Thomas Neal, aged 51, ARP, of 47 South Esk Road, Forest Gate. Son of the late Mrs Hillman (formerly Neal) and the late I Neal. Alan John Neale, aged 14. Son of Henry Nicholas and Lily E Neale, of 61 Huddlestone Road, Forest Gate. Leah Rachel Newhouse, aged 51, of 117 Dames Road. Daughter of the late S and F Harris; wife of Maurice Newhouse, at 117 Dames Road. Reuben Newhouse, aged 29, of 117 Dames Road. Son of Maurice and of Leah Rachel Newhouse, at 117 Dames Road. William Henry Penfold, aged 63. Husband of Caroline Penfold of 67 Malvern Road, Leytonstone. Horace Victor Presland, aged 27; Heavy Rescue Service. 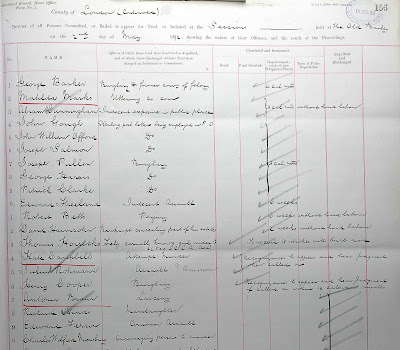 Son of Ernest and Elizabeth Presland of 79 Chester Road, Seven Kings; husband of Elizabeth Presland of 9 Manby Road. Bertie William Sabine, aged 50, Home Guard, of 162 Chandos Road, West Ham. Herbert Smith, aged 55. Husband of Mrs Smith of 107 Vansittart Road, Forest Gate. Frederick Henry Stevens, aged 40. Husband of EM Stevens of 15a Priory Place, Well Street, Hackney. Muriel Bertha Tampion, aged 15. Daughter of Mr and Mrs John Edward Tampion of 62 Cheney's Road, Leytonstone. 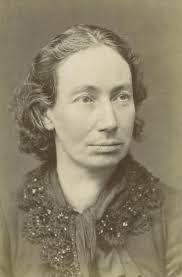 Edith Tilley, aged 41. Appears in West Ham but not on Leyton list. Florence White, aged 40 of 109 Pevensey Road. Daughter of Joseph White. Died in Pevensey Road. Sarah Wightman, aged 47, wife of Ernest Wightman of 68 Huddlestone Road, Forest Gate. William James Winter, aged 48. Husband of Florence May Winter of 43 Dongola Road, Plaistow. (also mentioned in Stratford Express report - see below). Frederick Ernest Wright, aged 32. Son of Frederick Edwin and Lillian Alice Wright of 211 Dames Road. Footnotes. 1. The V! - flying bomb (Vergultungswaff) was also know a a buzz bomb or doodlebug. It was first launched in London in June 1944, in response to the Allied invasion of the European mainland. They were directed mainly at south-east England. The last one was launched in October 1944, when the Allies captured their last launching pad in Europe. 2. 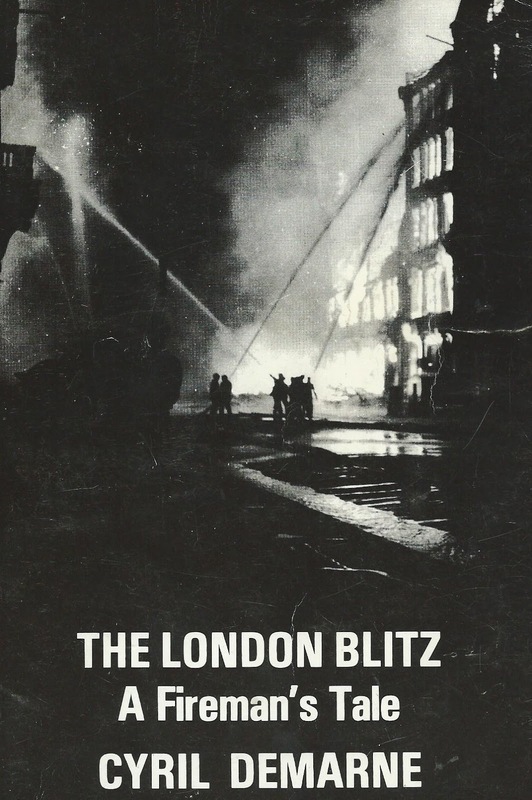 Cyril Demarne's book is entitled The London Blitz: A Fireman's Tale and was published by Newham Parent's Centre in 1980. Copies may still be available from the Newham Bookshop.